Iron – includes 1/3 of your daily iron requirement – like eating more than ½ lb. of raw spinach! Vitamin D – includes double your daily requirement of Vitamin D; equivalent to drinking four 8 oz. glasses of milk! * Hemp Protein with Maca & E3Live™ includes whole, natural ingredients that deliver enormous health benefits but are not flavorful on their own accord. As this product does not contain any sugar or added sweeteners it needs to be supplemented by adding fruit juice or other natural flavors to make a healthy, great-tasting smoothie. Hemp – or cannabis sativa – is a plant that is used for a variety of purposes including the making of medicines and fibers. The seed, however, provides a deeply rich source of protein and oil that contains Omega 6 and 3. Maca – a Peruvian root vegetable recognized as a superfood, meca delivers a comprehensive source of phytosterols, iodine, and zinc – as well as other trace minerals. 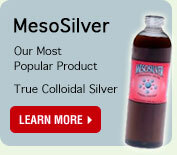 Meca works to increase energy, sexual function, and digestion, as well as balance hormones and improve mental focus. E3Live – the purest of algae that is taken from Upper Klamath Lake in Oregon. E3Live contains superior health benefits and is recognized as the healthiest of algae on the planet – a food that is perfect in its natural formulation and supports overall health. Hemp Protein with Maca & E3Live™ delivers a comprehensive source of nutrition that provides protein, fiber, iron, and Vitamin D – as well as a variety of trace minerals - and achieves amazing results in terms of energy, improved health, and hormonal balance. 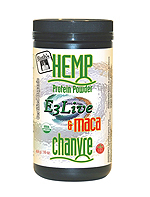 Additionally, at just 120 calories, Hemp Protein with Maca & E3Live™ helps support weight management. 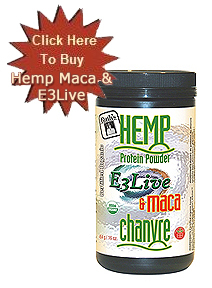 Certifiedo organic hemp protein, certified organic maca E3Live.